At Thanksgiving and Christmas, there are plenty of pies on the dessert table, but there is one that stands out to me, my Mincemeat Cheesecake Pie. The traditional Mincemeat Pie is made with a double crust and filled with a homemade mincemeat. For years, I made a more traditional one with a boxed mincemeat that had to be softened in water, somewhat how you would plump up raisins in a recipe. 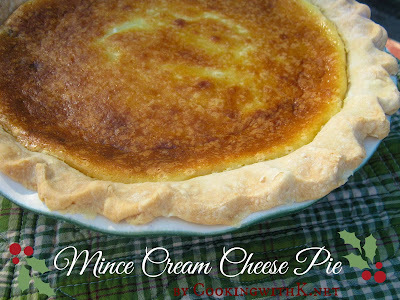 In 1976, I came across this recipe for Mince Cream Cheese Pie in my Betty Crocker Cookbook and have been making it this way ever since for the Holidays. This summer, I made another adaptation to this recipe using apples, Apple Cheesecake Pie. This cookbook is full of standout recipes I have made over the years. Don't you just treasure this kind of cookbooks! Preheat oven 350 degrees F. In the bowl of an electric mixer, using the whisk attachment, beat together cream cheese, sugar, vanilla, and eggs until creamy and smooth; set aside. Spoon mincemeat filling in the prepared pie crust, spreading evenly. Pour cream cheese mixture over the top of filling, spreading evenly. Bake for 45-55 minutes or until the cheesecake is done. Refrigerate for at least 3 hours or overnight before serving. Ok, I never would have thought to put these flavors together, but it looks great! This shows how much cheesecake has changed over the years. This sounds like a great combination. I just love a Mince Meat pie, I remember that my Grandmother made one every Christmas. 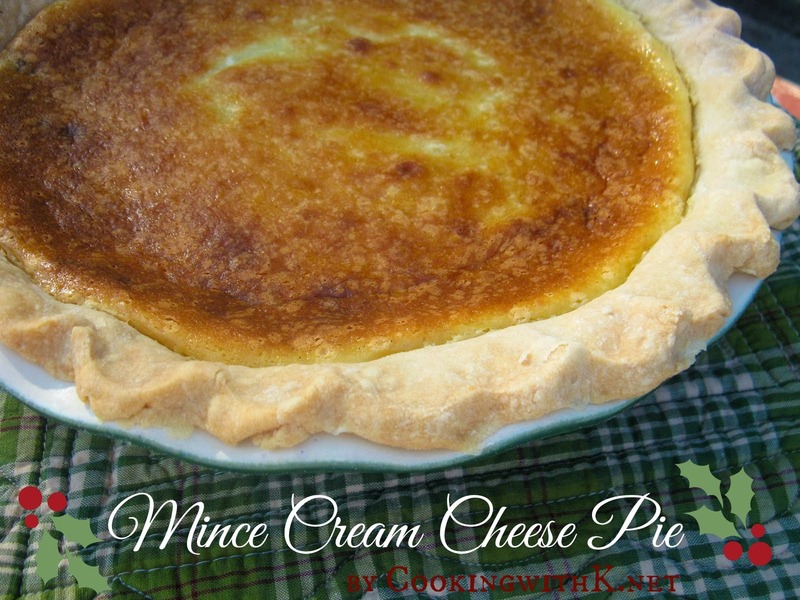 Your recipe for Mince Cream Cheese Pie looks delicious. Thank you so much for sharing with Full Plate Thursday. Hope you are having a great week and come back soon! 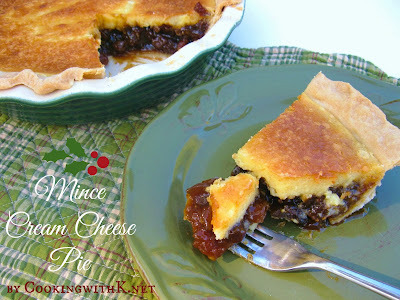 What a great idea - I love the idea of using Christmas mincemeat in this way. My grandmother made mince meat pie once a year. Great recipe.